Sarah Maynard has always had a love of story. The first story she told was the thrilling tale of the town of PLOP. Unfortunately, she was three and unable to write it down and can no longer remember the plot. Thankfully, Sarah has learned that super skill and handwrites all her first drafts. ​After living in New York, Vermont, Virginia, Texas and Maryland, Sarah now lives in Pittsburgh, PA with her husband, their four kids, a dog, a cat and books in every room. When she’s not reading or writing, Sarah loves hitting the water on her stand up paddle board, practicing her ukulele, trying out a new recipe in the kitchen, or finding zen on her yoga mat. 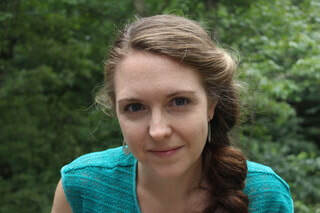 ​Sarah is represented by Jenna Pocius at Red Fox Literary.